I'm Curious Too: Ng Yen Yen: Yes Yes Yes. Crowd: No No No! I think by now most Malaysian are familiar with what happened in Penang during PSY's Chinese New Year visit to Malaysia earlier this month. If you don't, check it out here. And history repeated itself four days ago on Chap Goh Mei--Dr Ng Yen Yen were inundated by cries of "No! No! No!" from the crowd in Malacca during her failed attempts to coax them to say otherwise. She appeared frustrated with the response and had also asked the crowd to talk to the hawkers on Jonker Street who’ve benefited from Melaka’s growth and flourishing economy: “Go ask the hawkers at Jonker Street how much they earn each day’. The crowd again shouted back ‘No! No! No!’ and with that, she gave up and ended her speech. Despite the incident, she said that the "Yes-es" outnumbered the "No-s" that night. Dr Ng's poor selection of vocabulary now boomerangs back to haunt her. 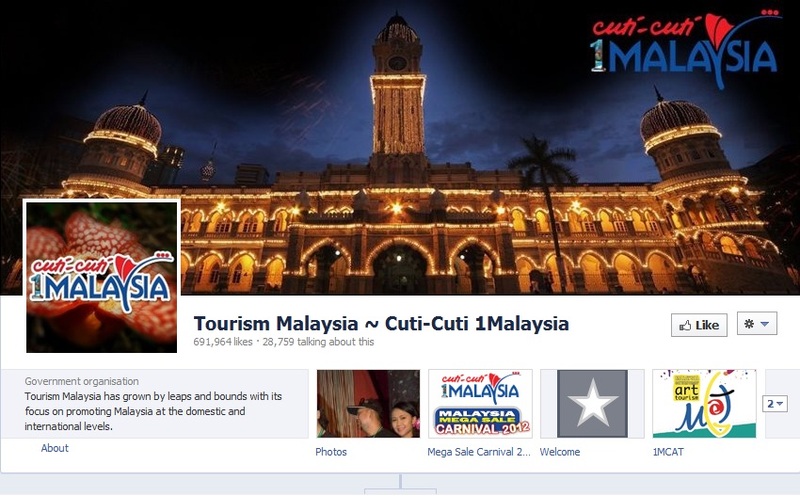 She has been bashing her own name ever since that RM 1.8 million Facebook scandal. She then revved it up further by stating during the Pacific Asia Travel Association (PATA) conference in 2012 that spending RM150 for a meal is in line with "international standard". Excessive spending, it seems, is the primary reason for her disapproval. 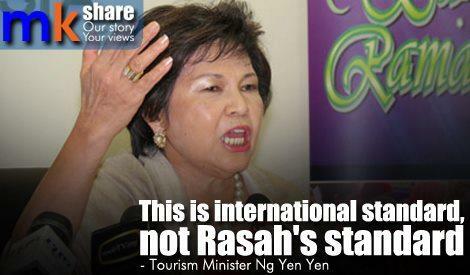 That puts her in the same league as a certain Datin Seri who happens to share a common hobby of exorbitant spending. And apparently she was shamefully unaware of (or chose to ignore) the responses she's receiving. It was clear during her vain endeavors to coerce the people to agree with her vision that she was painfully frustrated with the crowd. She was said to be "loud, rude, and obnoxious. Her constant pointing and hand gestures were unnecessary". One of the most important attributes of a politician is oratory skills (though that also means they're more often than common folks to be accused of mendacity). The term "skilled orator", however, is not really compatible with Dr Ng. It's obvious from her statements that she's treating the rakyat not as the boss of a democratic society, but as a lower class of people who know not basic IT (Facebook is free), oblivious of science knowledge (cyanide issue) and eat cheap food (RM150 per meal). Do you want someone like that to be the representative of your constituency? I bet not.